Using specific products containing vitamins AC & E to eradicate Age spots, SPF 15. Includes file and shape, cuticle work, scrub, massage, serum application, heated mitts and polish application. Brilliant for gardeners, those with dry or sore hands or simply as a treat. Includes file and shape, cuticle work, massage, paraffin treatment and polish application. Using products from OPI and local Brighton based company The Gel Bottle. The GelBottle Inc offers a huge selection of highly pigmented, extreme shine, chip-resistant shades. With cutting edge products like Builder in a Bottle. 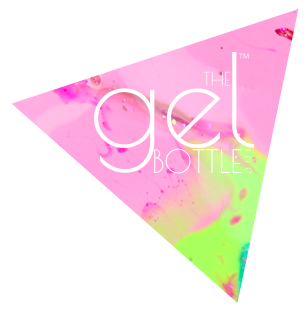 The Gelbottle is great for those even with weak, soft nails who struggle to keep regular gel on their nails. The good news doesn’t end there because they are also VEGAN, CRUELTY FREE and 10-FREE (Free from the top 10 toxic chemicals Formaldehyde, Toluene, Dibutyl Phithalate, Formaldehyde Resin, Camphor, Ethyl Tosylamide, Xylene, Triphenol Phosphate, Sulfate or Sulphate, Parabens). For a Manicure that is dry instantly and lasts for weeks. Includes file and shape, cuticle work, buff and gel application. Removal of gels applied by The Vinery with re application. These luxury treatment for your feet incorporating foot spa, foot Scrub foot mask, massage, cuticle work, file and paint. Rasp, file and cuticle work, application of foot cream and OPI lacquer of your choice. Excellent for Callus Removal, a special patch is applied to the callus and your feet will be wrapped, whilst your nails are trimmed and shaped and cuticles tidied. The wrap is then removed leaving the callus soft and ready to be peeled off, followed by filing to smooth the skin and applying a special moisturiser to the feet, last a colour of your choice. Exceptional client care taken as always. Amazing results. Feel a million dollars. A1.